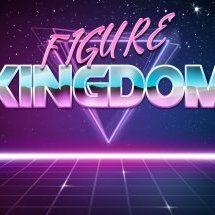 Brad The DC Universe Geek Talks with Jason Langston who is a former designer for Mattel's DC Multiverse action figure line. First check out this retro commercial Mattel has created for their line of Retro WWE figures on sale now. And then check out new promo images for the upcoming WWE Core Series #96 Sasha Banks figure below in our GALLERY! Today I take a look at the new DC Multiverse Aquaman Movie 6" Vulko figure from Mattel. This figure is being sold as an Amazon exclusive. Check out images for this figure below in our GALLERY and let us know what you think about it in the COMMENTS SECTION. Fans and collectors will love these highly detailed 6" key DC character figures. Each one features 20 points of articulation, detailed battle suits, authentic paint, iconic elements, and a bonus piece to build Lobo! The wave includes: Batman Beyond - Altenate head - Alternate hands - 4 Batarangs - Lobo waist - 2 Lobo heads Kyle Rayner - Lantern - Effect piece - Lobo legs Kid Flash - Alternate hands - Lobo arms - Lobo chain Kingdom Come Superman - Alternate hands - Lobo torso - Lobo necklace You can pre-order these now at BigBadToyStore.com. Today I take a look at Mattel's new wave of 6" DC Multiverse figures which includes Rebirth Wonder Woman, Vixen, The Ray and Gotham By Gaslight Batman. The Collect-And-Connect for this wave is the Rebirth Lex Luthor figure. You can buy these figures from Megalopolis.Toys. Check out images for these figures below in our GALLERY and let us know what you think about them in the COMMENTS SECTION. Mattel's own Actionfigureattack has provided us with images of new WWE Elite figures that are currently on display at the Mattel store. Shown are the following Launching with Ronda Rousey from her WrestleMania 34 in-ring debut and Ultimate Warrior in his highly coveted Halloween Havoc 1998 attire, each Ultimate Edition figure features advanced articulation, including: • Double-jointed elbows • New articulated toes • Ab-crunch torsos • Swivel wrists and double-joined knees on Women’s Division figures In addition, capture authentic entrance poses, epic mid-match comebacks, and signature finishing moves with swappable heads, hands, posable entrance gear, and more! Recreate unforgettable moments in ultimate realistic detail with WWE Ultimate Edition figures. Available in Spring 2019. Also shown are prototypes for their King Mabel and ABA Undertaker figures from the upcoming Elite Series 68 wave.